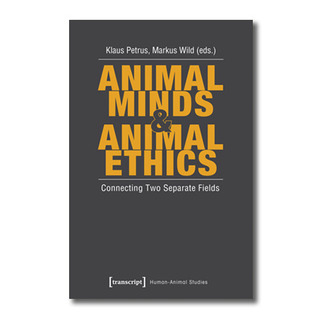 Animal Minds and Animal Ethics - different origins, connecting similarities. Philosophers working on questions of animal ethics usually draw on research into animal cognition and subscribe to strong positions regarding animal minds. Whereas philosophers interested in the question of animal minds sometimes draw ethical conclusions from the positions they argue for. In spite of such overlaps, these two areas of research have grown up separately. One reason for this separation stems from the institutional distinction between theoretical and practical philosophy. The principal aim of this anthology is to build bridges between the fields and different philosophical approaches of animal ethics and of animal minds and cognition. Klaus Petrus is Lecturer in Philosophy at the University of Berne. Until 2012, he was SNSF-professor of philosophy of language. He is, among others, the author of »Tierrechtsbewegung« (2013). Markus Wild is professor of philosophy at the University of Basel. He is the author of, among others, »Tierphilosophie« (2008).